Jennifer B. Rhodes, Psy.D. is a licensed psychologist & relationship expert. She is the founder of Rapport Relationships, a relationship consultancy based in New York, and Visual Arts Reimagined, an entrepreneurship consulting service for emerging visual artists & other creatives. Dr. Rhodes is a frequent media contributor and has been quoted in the Huffington Post, Cosmopolitan Magazine, Women's Health, Elite Daily, Bustle etc... She has also been featured as an expert on FOX 5 NY and WPIX 11. She is a passionate advocate for trauma and sexual assault victims and continues to consult in the family court system on cases pertaining to domestic violence and child sexual abuse in her private practice. Dr. Jennifer B. Rhodes is a licensed psychologist and relationship expert with over 15 years of experience. In addition to her forensic private practice, Dr. Rhodes maintains a separate relationship consultancy, Rapport Relationships, whose mission is to help creative professional design a life worth living. Dr. Rhodes is a sought after relationship expert who has appeared on WPIX-11 and FOX News and well has been quoted in the NY Post, Women’s Health, Business Insider, the Huffington Post and various other media outlets. In 2017, Dr. Rhodes founded Visual Arts Reimagined (VAR), an entrepreneurship and leadership consultation service for visual artists and other creatives. Her mission is to provide all creatives have the emotional support necessary to leverage their success into a business they can be proud of. Success! 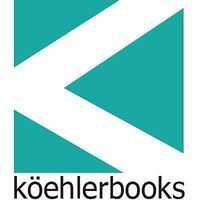 Relationships Matter Most sold 103 pre-orders by May 16, 2018, was pitched to 67 publishers, and is in discussions with publishers. As a supporter, you’ll receive the advanced print copy of my book before anyone else, as well as the digital version on PDF and Kindle. You’ll receive 2 autographed paperback copies, plus the digital copy (PDF and Kindle). + A special “thank you” mention in the book. You are getting up to $250 value with this reward! You’ll receive 3 autographed paperback copies, plus the digital copy (PDF and Kindle). You’ll receive 5 paperback copies, plus the digital copy (PDF and Kindle), for you and some friends. + A recording of the session and your personalized plan will be included. You're receiving $595 worth of a value. You'll receive 10 advanced print copies of my book, as well as the digital versions on PDF and Kindle. + Group mastermind dinner in NYC at the member's only Norwood. Norwood is a private community for creative professionals and artists. Receive 25 copies of Relationships Matter Most as a patron sponsor. You'll receive 40 advanced print copies of my book, as well as the digital versions on PDF and Kindle, and five one-hour coaching sessions. + A recording of all sessions and your personalized plan will be included. + 25% discount on Rapport or VAR services past the 5 sessions. You're receiving $2150 worth of a value on this coaching deal! 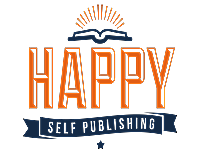 You'll receive 100 advanced print copies of my book, as well as the digital versions on PDF and Kindle, and seven one-hour coaching sessions. + 30% discount on Rapport or VAR services past the 10 sessions. + Individual mastermind dinner in NYC at the member's only Norwood with Dr. Rhodes. Norwood is a private community for creative professionals and artists. You're receiving $5500 worth of a value on this coaching deal! Why is it that now, when we have so much more freedom to live the life of our dreams, more and more people find themselves stuck and accepting a less than fulfilling life? After five years of working in the dating industry, I began to notice familiar patterns in all my clients. They were highly exploratory in their personality but struggled to find meaningful relationships in their personal AND professional lives. Despite good family backgrounds and access to resources, every single one of these clients seemed to miss the key to living a happy life. Rather than nurturing relationships, they expected them to magically appear or be something they could purchase. Time and time again I listened to a verbal review of their resume and their anguish that the "good ones" were already taken. Each of these individuals believed that they had worked so hard that the deserved "the one." They simply did not understand why, after being told to focus on their career and education, finding a suitable marriage partner was so difficult. They didn't understand that they spent years wasting their time by neglecting to build a social network that would have helped them find the love of their life. When our clients started to show up from creative industries and seemed stuck in both their personal and professionals lives, we had a revelation. Our clients were good people who wanted to value all relationships but were told that the key to success was burning yourself out and working to make it big financially. No one told them that they could achieve financial success by surrendering to joy, passion, and strategizing their personal life to enhance his or her career success. They were told this DESPITE the fact that their natural inclination as a creative was to revel in joy and passion. This book is about returning back to the fundamentals and helping the next generation focus on building real relationships in their dating lives as well as their professional lives. 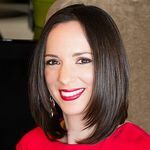 It is built off Dr. Rhodes' 15 years of experience studying and working as a relationship expert with both teens and adults and from her experience running a divorce practice as well as a dating consultation firm. Her no nonsense style of assessment & intervention, balanced with her team's commitment to positive psychology have given her clients both the support and the push needed to get over their blocks and create a better life for themselves. Relationships Matter Most highlights our culture's tendency to send young women the message that relationships are "easy." That they need not worry about them and that when the time is "right" it will "just happen." Except that it doesn't and the real lack of understanding of dating, marriage and men in general is leading many of them to not take the chances they need to in their personal life and career. Many of them end up feeling that the real world has pulled the rug out from them and they find themselves in their 30s without a plan or the confidence to go after what she really wants. Much like Nice Girls STILL Don't Get the Corner Office, Relationships Matter Most teaches women the grit necessary to deal with the #MeToo era and encourages practice before they need it in the board room. For our male clients, #MeToo has brought on a whole new level of uncertainty being masked by hyper masculinity that deals with women by simple avoidance. At a time when we need the good men to support women's success, we are finding them too scared to act in both their personal lives and in their careers. Leaving the door open for narcissistic men to be the only ones open enough to engage with women and causing women to believe good men simply don't exist. Relationships Matter Most is the book for the "nice guy" who needs to handle his anxiety and step up to his real leadership potential. If we are not careful, we will polarize women versus men leading to profound unhappiness and poor productivity. We already see it by the lack of social interaction in real life during a time when people feel lonelier than ever. Anger, fear and frustration doesn't have to dictate our story. Relationships Matter Most is meant to give the reader the education and tools necessary to achieve personal and professional success without sacrificing joy, passion, and fun on the journey to finding love and financial freedom. Introduction - My personal story and how my clients have shaped the way I practice. Over the past 80 years, Harvard has conducted a study called The Harvard Study of Adult Development. The findings over the years have revealed that emotional security predicts late life well-being & marital satisfaction, that creative women have greater life satisfaction, and that those adults who not only have healthy relationships but cared for them, were simply happier later in life. In other words, Harvard has concluded that the key to happiness is nurturing your relationships. Despite the consistent message from developmental psychologists about the key to life satisfaction, we still do not value relationships the same way we do our careers. Too many young people believe that they can go it alone despite career counselors telling them that the key to professional success if also their relationships and the research that shows ambition does not always lead to later life happiness. We are on the border of a loneliness epidemic. Research has indicated that the number of young adults without a best friend has tripled since the 1980s. Main culprit? The internet. Research has indicated that people try to use digital relationships to replace their lack of real relationships and the research indicates that it is simply not enough. American individualism makes us believe that we can go it alone, when the reality (and research) suggests that we all need interdependence. The psychological research about the importance of relationships has been consistent for decades. It is time to leverage its application for millennial so they may simultaneously plan their personal and professional lives with less heartache, struggle, and isolation. Never before has there been a time of so much freedom and yet it is a time for lack of structure and guidance on how to navigate the world. The key to changing this dialogue is not simple social skills training. Rather, it is a change in perspective and values. Relationships Matter Most seeks to move this conversation forward and educate the next generation on why they need to see every day as an opportunity to build their IRL social networks. The target audience are post college millennials. They are likely young adults with some anxiety who value friendships and want a relationship but are struggling to find one in the Tinder era. They are likely burnt out from online dating and still don't know that they are more likely to find their match through a friend (63% versus 20%). They are also likely preparing for a shift to freelance work or entrepreneurship. Millennials are facing a world that has given them so many opportunities to embrace their creativity and find their tribe but most will fail to do so. They are increasing lonely and feeling disconnected. They are lost and scared. Too many of them will feel like they are on this journey alone. All they need is a new perspective to manage their social world. VAR is currently recruiting at college career fairs and we expect the VAR email list to grow significantly over the next 3 months. Dr. Rhodes already has set up speaking engagements and informational sessions where the promotion of the book can occur. She plans to continue to book workshops in career counseling offices and student centers where email addresses and ongoing contact with target audience can occur. Dr. Rhodes has interns who are the target client for this book. She will actively use her interns to spread the word through their social media networks. Dr. Rhodes will work with her PR rep to promote the book through appearances on television. Dr. Rhodes just contributed to an article in Cosmopolitan Magazine and has asked the writer to list her forthcoming book as her title. Dr. Rhodes already has regular contact with Elite Daily, Huffington Post, Bustle and other sites. She plans to contact these sources and begin to use quotes from the book as she is asked for expert opinions. This book provides an excellent research base for why modern dating is the way it is and includes an overall critique of dating in different cultures. It, however, lacks information on why relationships actually matter and practical advice for the modern millennial. This book contains excellent practical advice for growing business relationships but lacks a theoretical framework for understanding the larger context of social relationships. It seems to isolate business relationships from all other relationships and focuses on career development in more traditional settings. Shasta Nelson is the author of two books on the friendship topic. A long neglected topic, her book and personal story about why friendships matter for women has changed the way many think about friends in adulthood. Her simple model of different friendship categories helps the reader understand what circles they are lacking. This is a great relationship book but solely focused on friendships and not other relationships. Starting to become a classic, Dr. Jay's book about why your 20s matter has become a wake up call for many millennials. It provides useful information about how many millennials view their 20s and why that decade of development matters. It, however, does not discuss work relationships and focuses solely on relationships as it pertains to their love life. The goal of this book is to provide a context for making good marital choices. Dr. Van Epp encourages readers to follow their heart but to also use their intelligence to make good decisions. It is an excellent how to manual but does lack a focus on how to actually use these experiences to propel your life forward. This is a great book about why giving really matters in business. It's goal is to move networkers from the art of collecting business cards to simply wanting to help other succeed. It, however, does not combine a strategy to help blend your personal and professional lives together. This book seeks to examine the lives of super successful people and look at what paradoxically helped them achieve success. It touches upon grit, self-compassion and other findings to demonstrate that following the rules does not usually lead to success. There is one chapter on the home and work life. Yet, however, does not go into how to actually leverage one's personal life to build the foundation for high levels of success. Never Eat Alone, Expanded and Updated: And Other Secrets to Success, One Relationship at a Time by Keith Ferrazzi (2014 by Random House). Never eat alone is a great mantra for everyone's personal and business life. This book reflects on why relationships are keys to building larger audiences and has a wonderful chapter on why sharing your passion is important. It does not address gender issues pertaining to networking nor how to strategize both your personal and professional lives. on April 16, 2018, 1:58 p.m.
on April 16, 2018, 3:09 p.m.
on April 16, 2018, 5:21 p.m.
Congratulations! I can't wait to read your forthcoming book. on April 17, 2018, 3:25 p.m.
on April 17, 2018, 7 p.m.
on May 4, 2018, 10:16 p.m.
You are a superstar dear Jen! on May 7, 2018, 7:14 p.m.
on May 15, 2018, 8:01 p.m.
on May 16, 2018, 2:06 a.m.